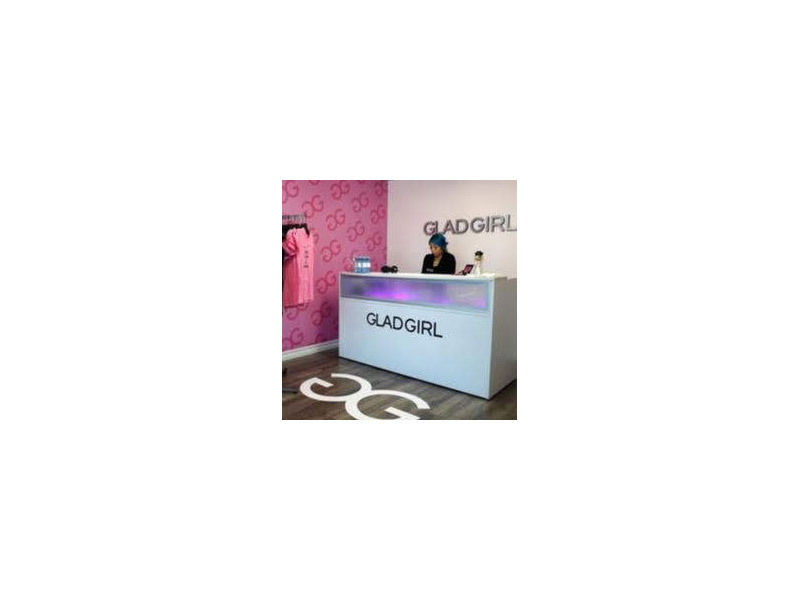 Glad Lash Inc. is an international manufacturer and distributer of professional eyelash and eyebrow extensions, application tools, after-care and makeup products. 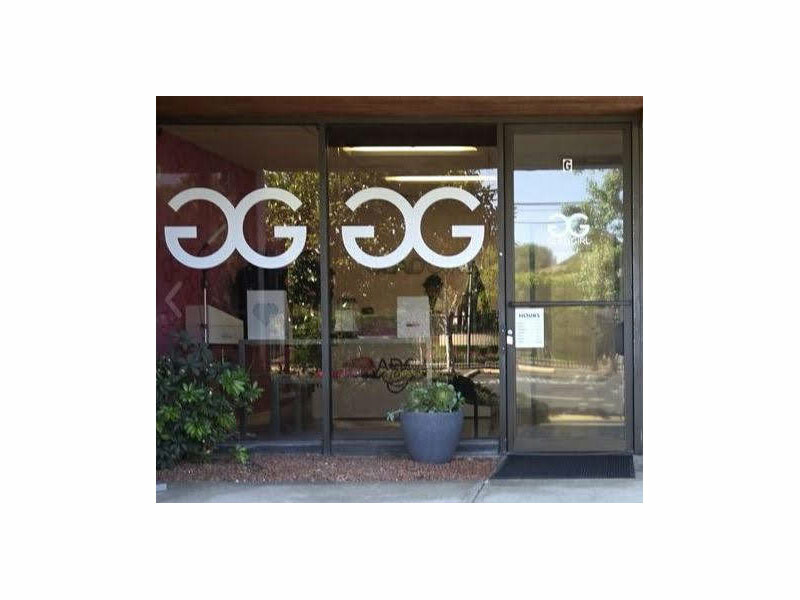 Glad Lash specializes in the art of eyelash and brow extension application and training. 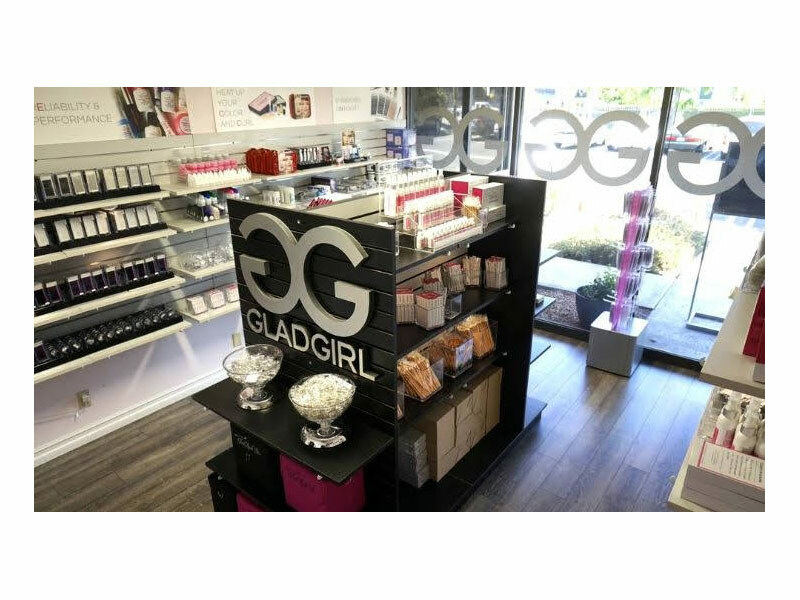 Glad Lash was excited about opening their very first retail location in CA, called Glad Girl. 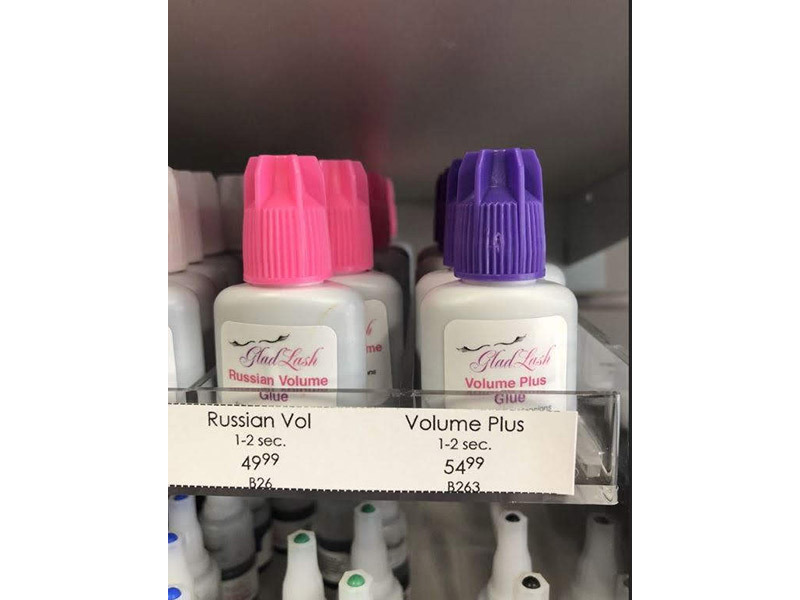 They wanted to display different types of products such as packaged eyelashes, loose brushes and pencils, make-up, bottled cleansers and glues, and so much more. They came to Azar Displays looking for solutions to display all the different items they offer. With the approaching Grand Opening date, Glad Lash’s visual merchandising team needed to have all the displays in house quickly. Azar’s Displays offered an array of product from our stock display line. Azar’s patented adjustable slot black trays, item #225830-BLK, are perfect to showcase the many sku’s of packaged eyelashes. Using Azar’s adjustable dividers and pushers, Glad Girl was able to adjust each compartment to fit their product perfectly. In the front of the store, Glad Girl uses item #700729-PNK, Azar’s Studio Base Pegboard Display for peggable items. The sleek metal design of the studio base complements the ultramodern décor of the store. Azar’s Deluxe Bins, item #556377-SET & Item #556307 hold pencils, brushes, and make-up providing the customer the ease of accessibility to choose their product. The Deluxe Cubes are made of injection molded crystal styrene, giving them a very durable yet extremely fancy appeal. 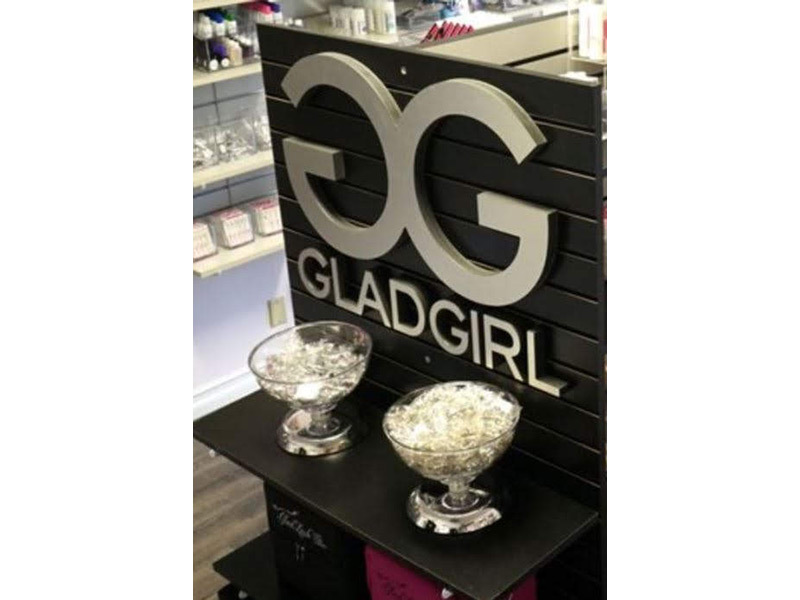 Also very useful in the store, is Azar’s Step Display item #326039 & item #326047, the tiered acrylic step design allows for products to be displayed in a cascading fashion. 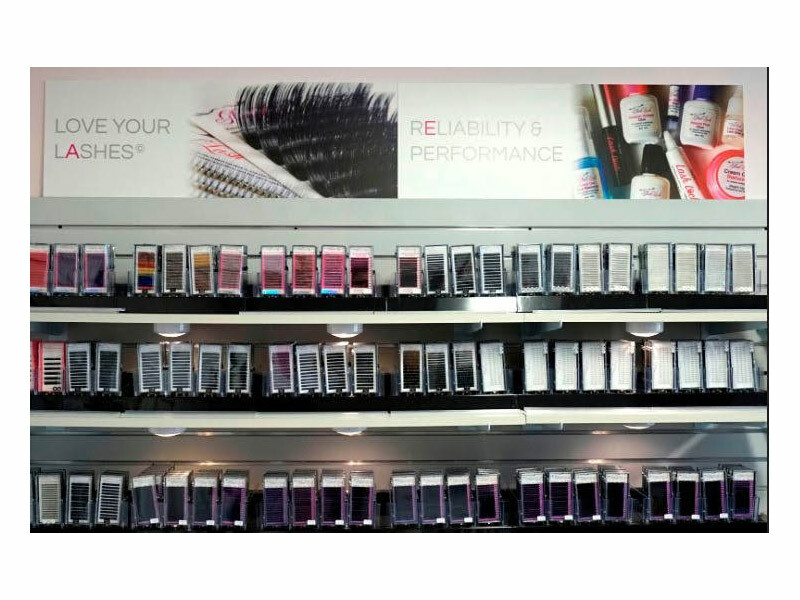 This brings clear visibility to the product giving customers an effortless shopping experience. Signage can be added to the step displays for branding. Azar’s Bowl Counter unit, item #720010, is used to display loose items, turning any shelf or counter into a beautifully organized and appealing space. All of Azar’s Bowl Counter Displays are crystal clear, and weighed down with a high end chrome base. To showcase the contents of their gift bag, Glad Girl uses Azar’s Acrylic Counter Showcase item #300687, presenting all items in a secure and neat arrangement. Azar’s Acrylic Blocks, item #104438, are used for branding and advertising. 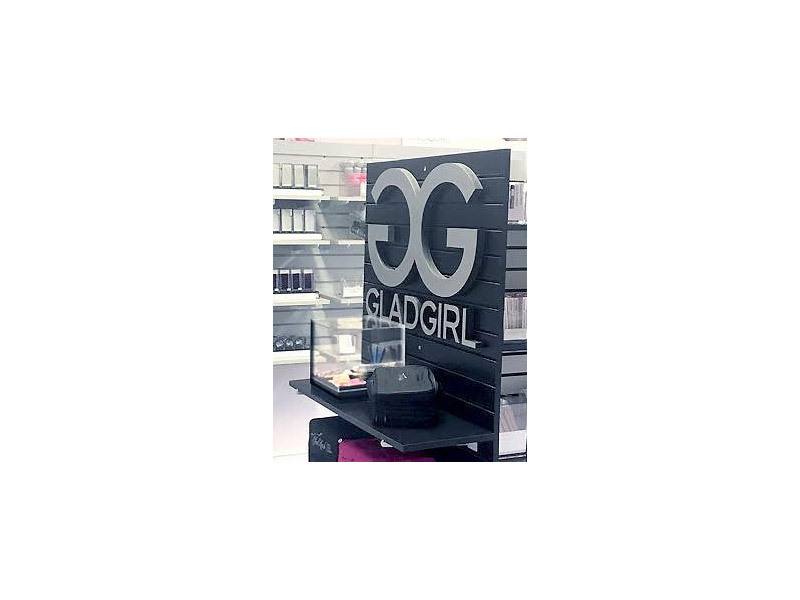 In addition Glad Girl purchased many c-channels and signage for marketing, branding and pricing throughout the store. In Stock, all items shipped within days of placing the orders.